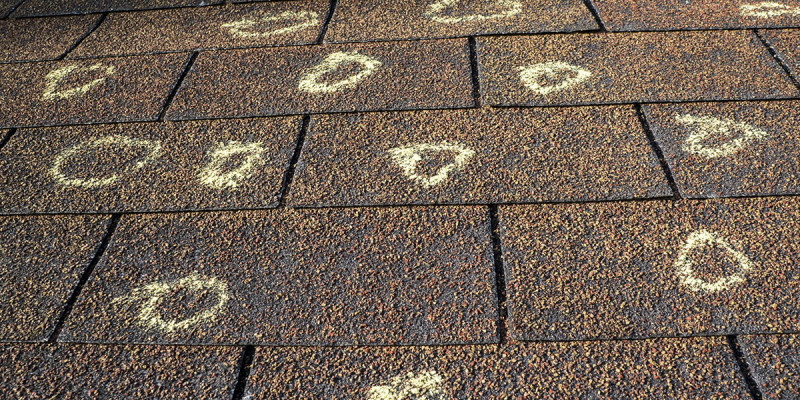 Those yellow circles represent hail damage. Can you see it? Well we did and we succeeded in getting the insurance company to see it also. Full roof replaced.